Located along southcentral Alaska’s Kenai Peninsula near the city of Seward, Kenai Fjords National Park is a 669,000-acre wildlife reserve area operated by the National Park Service, containing the Harding Icefield and serving as the source for more than 38 North American glaciers. Though no evidence of permanent historic inhabitation of the Kenai Fjords area has been established by archaeological survey, the area is believed to have been the home of a number of indigenous sites that have been inundated and buried by rising waters and seismic activity. Transient village sites dating back as far as 1200 A.D. have been excavated, with sites connected to mining activity in the area dating as recently as the mid 20th century. Inquiries into the development of a National Park unit in the area dates back to Alaskan surveys in the 1930s, though serious proposals did not coalesce until the early 1970s. Development of a park protecting the Aialik Peninsula in conjunction with the Seward National Recreation area was discussed in 1972 and 1973, though the Watergate scandal of the Nixon administration set back further developments. Following the election of President Jimmy Carter, a 410,000-acre area was established in 1978 as Kenai Fjords National Monument under the Antiquities Act, which resolved allotment of Alaska’s public lands. After 1980’s Alaska National Interest Lands Conservation Act, the area was converted into a National Park, designated to protect the Harding Icefield, one of the largest extant icefield areas in the United States. Named in honor of the fjords carved by the icefield’s numerous glaciers, the park contains more than 38 glaciers, including Bear and Exit Glaciers. 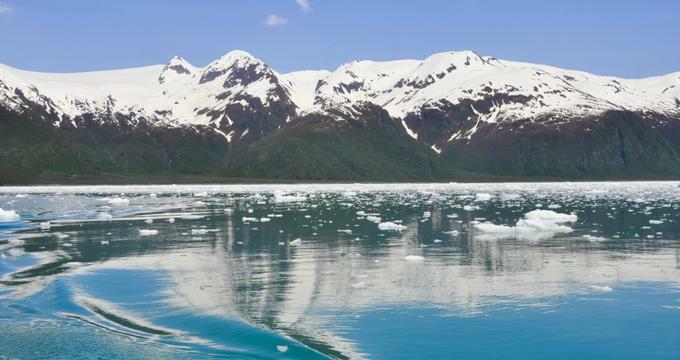 Today, Kenai Fjords National Park encompasses more than 669,000 acres along the southeastern side of Kenai Peninsula, divided into three primary visitor areas. As the fifth-most-visited National Park in Alaska, the park is headquartered in the nearby port town of Seward, a popular tourist destination for docked cruise ships and excursions. As one of only three national parks in the state accessible by vehicle, the park is bordered by the nearby Kachemak Bay State Park and Kenai National Wildlife Refuge. Two visitor centers serve the park, including the Kenai Fjords National Park Visitor Center in Seward’s harbor, which is open daily during summer months and offers showings of a short orientation film, “Waves Over Seward.” The Exit Glacier Nature Center, also open during the summer, serves as a trailhead and offers exhibits about the park’s natural history, along with an Alaska Geographic bookstore and informational services for visitors. The park’s landscape is affected by the plate tectonics of the North American Plate and Pacific Plate, which gradually lowers the elevation of the Kenai Mountains and affects the movement of the park’s formations, forming its submerged fjord glacial valleys. More than half of the park is covered by ice, contained within more than 38 glacier formations. The park’s Exit Glacier Area is its most accessible glacier area and its only section accessible by vehicle, located 12 miles from downtown Seward. Though the area is open year-round, its roads are only open during the summer months, accessible from AK-9 Seward Highway. A network of trails within the area are accessible from the visitor center, including the one-mile Glacier View Trail and the moderate difficulty Edge of the Glacier Trail. Winter recreation activities are also offered, including dogsledding, snowmobiling, and cross-country skiing. Views of the park’s Harding Icefield Area are offered via the 8.2-mile roundtrip Harding Icefield Trail, as well as a number of private flight seeing excursion companies offering scenic overflights. The park’s Coastal Fjords Area may be primarily explored by boat, with boating and wildlife excursions offered by a number of local touring companies. Two coastal cabins within the area, the Aialik Public Use Cabin and the Holgate Public Use Cabin, are available for arranged visitor use during the summer months and offer up-close views of wildlife and natural areas. A number of camping and landing beach areas are also located within the coastal area, accessible via water taxi. Kayaking is permitted along the coastline, though recommended for advanced boaters only due to turbulent water conditions. A variety of ranger-led walks and programming are offered by the park, including educational programming for elementary and secondary students focusing on marine wildlife, native botany, and the area’s indigenous cultures. A Junior Ranger program offers certificates and badges for young visitors in exchange for completion of park activities via an Explorer Journal app, and an Art for Parks Backpacks program offers rentable art supplies. Tours offered through Seward-area excursion companies also provide up-close experiences with the park’s marine wildlife, including Steller sea lions and Dall’s porpoises. Periodic public programming is also offered as part of the park’s partnership with the nearby Alaska SeaLife Center.